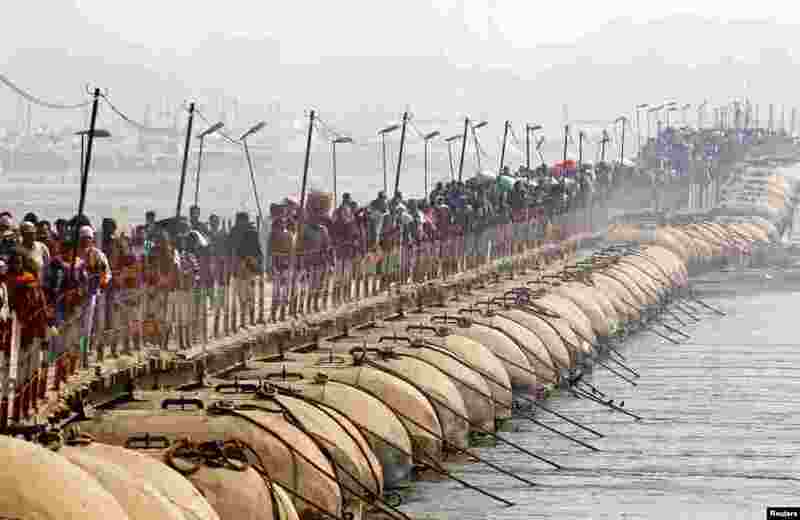 1 Devotees cross a pontoon bridge after taking a holy dip at Sangam, the confluence of the Ganges, Yamuna and Saraswati rivers, during Magh Mela festival in Allahabad, India. 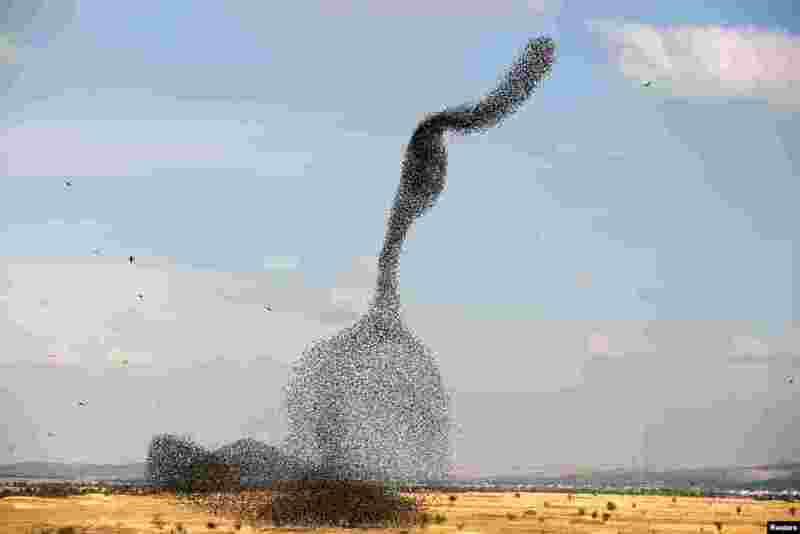 2 A murmuration of migrating starlings is seen across the sky near the village of Beit Kama in southern Israel. 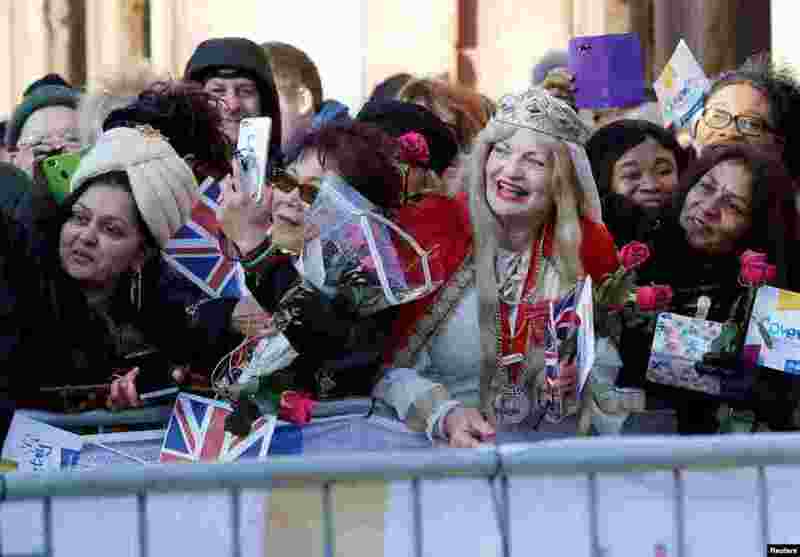 3 Well-wishers wait to greet Britain's Prince William and Catherine, the Duchess of Cambridge, as they make a visit to Coventry. 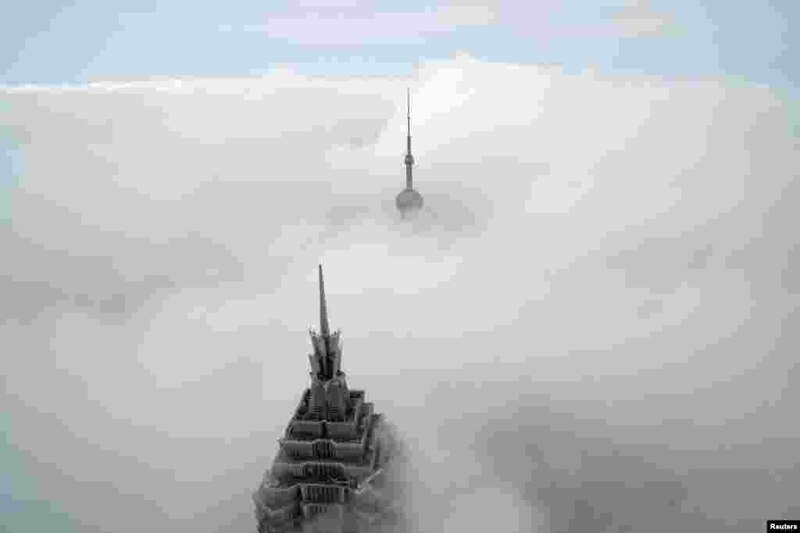 4 A pair of skyscrapers, Oriental Pearl Tower and Jin Mao Tower (front), are seen from the Shanghai World Financial Center on a cloudy day in the financial district of Pudong in Shanghai, China.